Gravium trades under the symbol "GRV" and runs without a reserve bank or single administration. You cannot mine the virtual currency, GRV, which utlizes the X16R algorithm, but you can buy them with a cryptocurrency exchange service. Gravium can be found online, on social networks like Telegram, Facebook, Reddit and Twitter. We don't have any cloud miners listed for Gravium yet, check back soon! We don't have any exchanges listed for Gravium yet, check back soon! Visit our full gravium mining calculator. We don't have any wallets listed for Gravium yet, check back soon! We don't have any debit cards listed for Gravium (GRV) yet, check back soon! 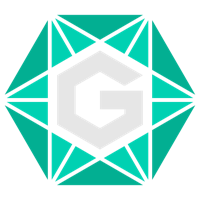 We don't have any price charts listed for Gravium yet, check back soon!